Trans Tramuntana - GPS "self guided"
The crossing of the Tramuntana mountains. From Port de Andratx to Alcudia. We are Mallorca's oldest bike promoters. THE PERFECT TRAINING CAMP FOR WOMEN FROM WOMEN. WITH CHRISTIANE SCHMÜCK FROM BIKE TEAM 7HILLS. 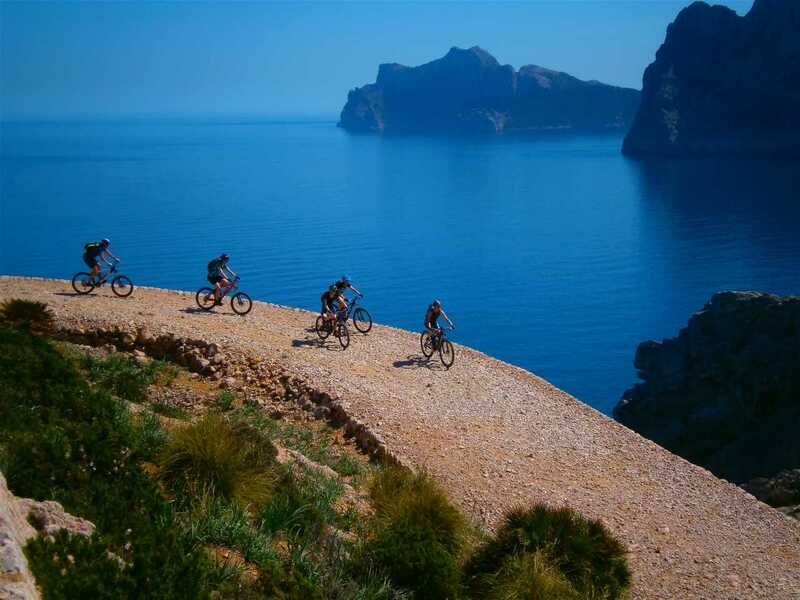 With more than 70 mountain bikes, 300 roadbikes, trekking bikes, fitness bikes and E Bikes we are the leading mountain bike rental in Majorca. Whether Hardtails, Fullsuspensions or Mountainbike E- Bikes - our specialists will help you choose the right bike. You can also book your bike online in advance (in high season recommended). If you have not already booked a flight or hotel, you will find on our site numerous mountainbike Majorca Trips and Camps as well as roadbike trips. We also offer mountain bike tours & holidays in Namibia and Germany. You will find further information in our menu. If you need help, you can call our support at +49 (0) 2241 - 404586. All our mountain bikes, road bikes or trekking bike tours are compiled with great attention to detail. Due to our many years of experience with biking trips and tours on Mallorca, we also offer fantastic mountain bike tours through Germany and Namibia in Africa. From 2017, a bike week in the Zillertal in Austria will complement the program. We will be pleased to assist you with the choice of the right mountainbike and booking your trip. As a specialist for travels to the fascinating Balearic Island of Mallorca, we have been successfully working for our guests since 1993. 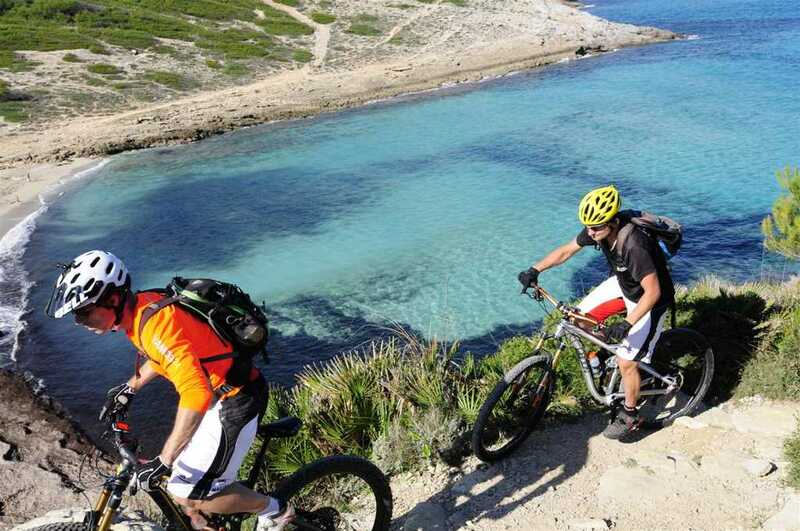 Vamos24 is a pioneer of mountain biking on Majorca. We ride on the trails of the "Nibelungen" through the fairy-tale and legendary "Siebengebirge". Dreamtrails above the river Rhine. Namibia - a fantastic MTB spot. 2 weeks mountain bike safari through a breathtaking landscape. When customers, business partners and employees are convinced and fascinated, events become targeted marketing. Unsere MTB Enduro Camps im Frühjahr auf Mallorca. Die perfekten Bike Camps um die Saison einzuläuten. Wenn Ihr ein "aktives" Geschenk sucht haben wir genau das Richtige. Unser Team auf Mallorca sucht Verstärkung für 2019. How does mountain bike Mallorca rental work? There are two possibilities for you. On the one hand, you can already choose and book your mountain bike directly on our website (recommended in high Season / March, April, May, September, October) or you can visit us directly on the island in Mallorca at one of our two bikestations. Our largest mountainbike and bike rental is available in Pto. de Alcudia in close proximity to the harbour. You can also find us in Esporles. Are there other bike types besides mountainbikes? Yes, besides our Fullsuspension and Hardtail Mountainbikes, you can also rent a roadbike, e-bike, fitness bike or trekking bike in Mallorca. You can view each bike here on our website and book it in advance in your frame size. How long can a mountain bike be booked? All our mountain bikes, road bicycles, trekking bikes and fitness bikes can be booked on a daily or weekly basis. Only in the main season from March 1st to April 30th, an online booking of the roadbikes is only possible on a weekly basis. On the island of Majorca there is still the possibility to rent a bike per day. 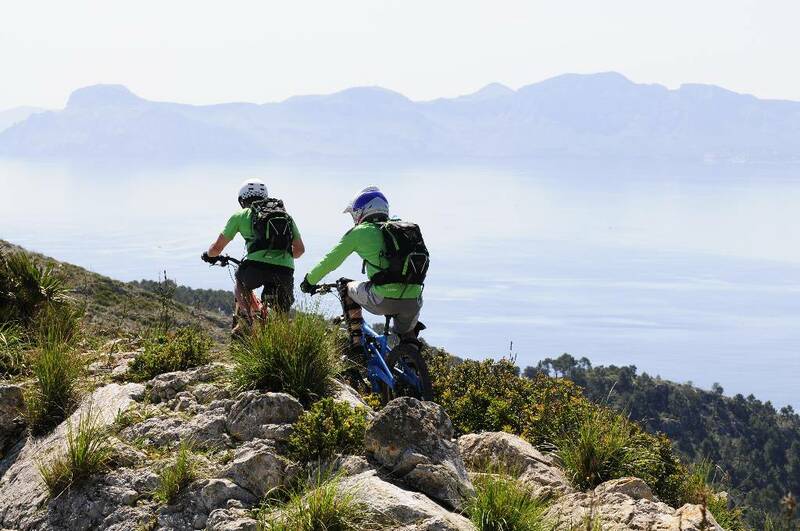 What does it cost to rent a mountain bike on Majorca? Our prices include the complete service and maintenance of our mountain bikes, roadbikes, trekking bikes and fitness bikes. 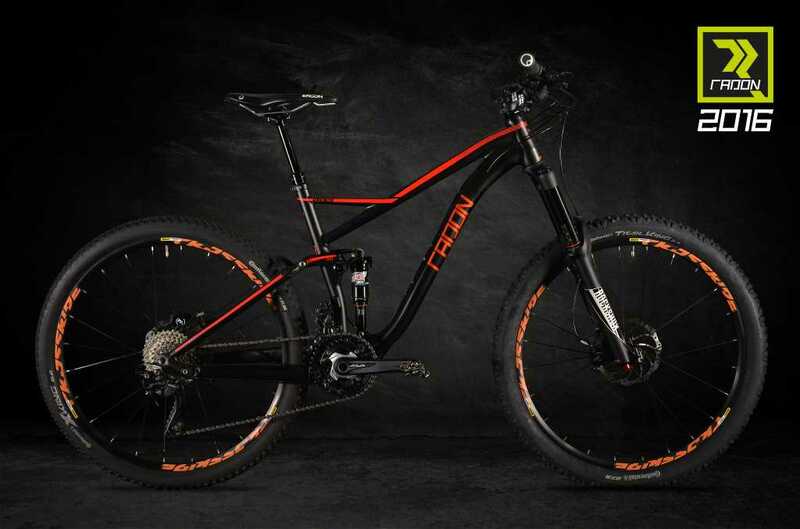 From 36.00 € per day you can book our Mountainbike Fullsuspension Custec AM 2, for example. Our MTB Hardtails from 18,00 Euro, a roadbike from 26,00 Euro per day / 115,00 Euro per week. You can find more details on the individual sides of the bikes.